They might have stumbled at start, but their desires of triumph have never seen the glimpse of dusk. Their passion and effortless contribution in their distinctive field, took their ventures in achieving its current unicorn stature. These individuals or commune, referred above as ‘they’, are the leaders and workforce behind the impeccable architects of their businesses. Altogether such entities form a systematic enterprise which facilitates best products and services to stand apart from the competition. Unicorn status is gained by those privately owned start-up companies who are valued over $1 billion. As most of you might know, the term was first coined by a venture capitalist named Aileen Lee in order to acknowledge the statistical rarity of successful ventures. 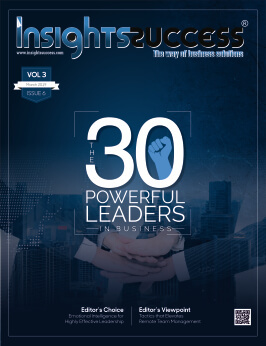 This special edition of Insights Success focuses on such companies who exceptionally have attained flagship in their respective industries. Through quoting—“Opportunities don’t happen. 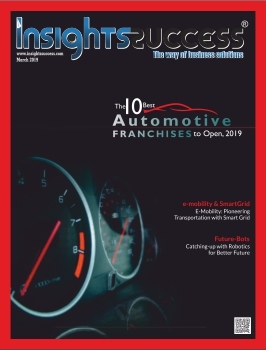 You create them,” sales advisor of Tesla, Chris Grosser exemplifies that to reach the uttermost heights of success an organization must create own opportunities rather waiting for them to occur. Personally, I believe that an organization or a start-up must craft a full-proof business structure in order to tackle the capricious phases of markets further gaining more benefits from such fluctuations. These organizations hold the potential to create an enormous disruption in the future. As being funded with a billion dollars valuation makes them a promising venture or else they would not have been funded with such. The most common required characteristics to attain such stature are: to be disruptively inventive, gaining first mover advantage, technology paradigm shift capitalization, to be consumer focused, and has to be private company. 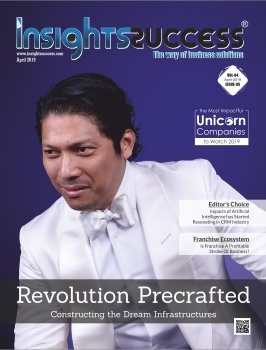 With ‘The 20 Most Impactful Unicorn Companies to Watch, 2019’ edition, let us admire such unicorn companies and appreciate their contribution in evolving the customary ways of businesses. 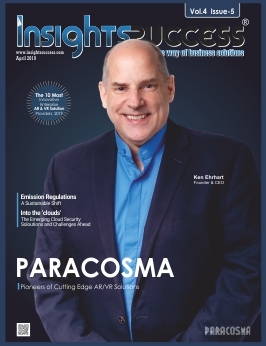 Insights Success takes pride to address some of them companies in this issue. The cover story comprises the global leader in branded prefab structures, Revolution Precrafted. Launched in 2015, the organization offers branded prefab homes, pavilions, glamping accommodations, medical and commercial pop-ups, museums, furniture and soon office spaces. It has become the fastest company to be labeled as a unicorn in Southeast Asia. It is currently in the middle of an aggressive expansion program and is on the cusp of opening its regional headquarters in Dubai, and New York among others. Revolution Precrafted is consciously introducing its ground breaking technologies to regions of the world that need more decent, stable homes, including parts of South and Central America, Africa and Asia. At the same time, it provides customers from developed countries and regions an alternative choice in terms of their homes. At the moment, it has footprint in 27 countries with total projected gross market value of over $9 billion. Let’s unveil such alike, inspiring interviews and stories of many such significant business leaders and educators in this special edition and spread a word about their contribution in making this world a better place. Also, flip through the CXO standpoints presented by some of the leading industry experts to taste the glimpse of industrial revolutions.